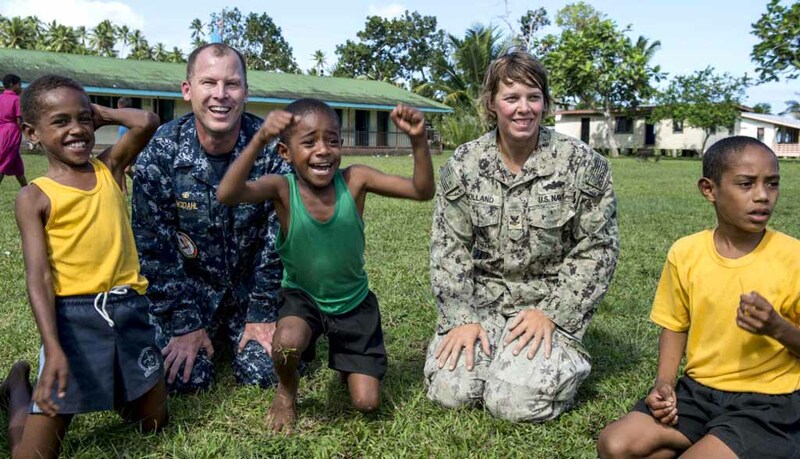 A young boy this summer was brought aboard the USNS Mercy hospital ship in Papua New Guinea. 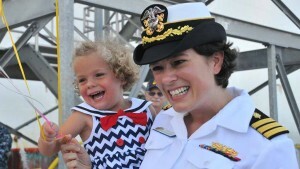 “That was vey touching,” said Mercy Mission Cmdr. Christopher Engdahl, recalling one of the 700 surgeries performed in the past four months as part of Pacific Partnership 2015. The story still brings a tear to the commander’s eyes. And as proud as he is of the work of military and civilian members on board did, “the toughest part was you want to do more,” he said. If they did 200 surgeries in one country, it’s that 201st person who didn’t get help that occupies his mind, Engdahl said. “Each country after you spend about 10 or 15 days there, you want to stay longer because you see the help that you are doing,” he said. 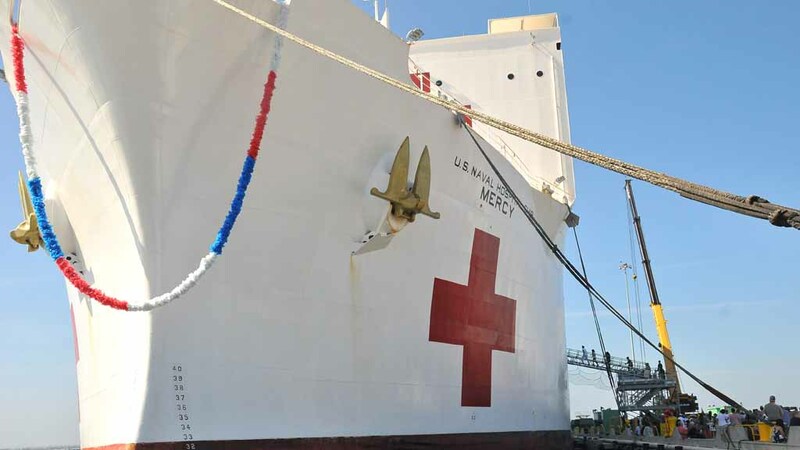 Members of the partnership returned home Sunday morning to San Diego, carrying with them memories of accomplishments and encounters in Fiji, Papua New Guinea, the Philippines and Vietnam. 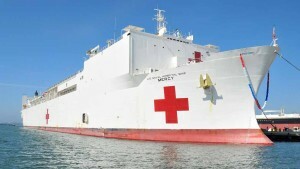 The purpose of the mission was to provide humanitarian assistance, increase disaster relief preparedness and teach and exchange medical knowledge and techniques. While Pacific nations benefit from the food and riches of the ocean, they all have to deal with the natural disasters that emanate from it, Engdahl told Times of San Diego. Engdahl and Cmdr. Marion Henry, director of surgical services, spoke on the dock about what knowledge their staff shared with partner nations and what they learned. “You give so much, and you get so much back in return,” said Engdahl, the partnership’s commander. He said it’s one of the things America and its Pacific allies “just really do well,” Engdahl said. Mercy doctors became aware of a challenge in the Philippines military, involving a soldier whose jaw was injured in a blast. The local doctors had no solution. A U.S. plastic surgeon and oral surgeon reconstructed the man’s jaw, using bone from his leg. Now the man is able to eat, talk and move his jaw on his own. And the local surgeons have learned a technique for future operations. “That was not only exciting to see that we could do that onboard the ship, but also again there are 13 people who couldn’t move very well, who now should have their mobility back,” Henry said. Removing tumors from bones — surgery that was beyond the capability of host doctors. Fracture revisions: Patients had broken bones that healed improperly due to lack of treatment, making limbs unusable. So the U.S. orthopedic doctors rebroke the bones and set them to heal. “They now are functional where they now can contribute to their communities, and they can be mobile on their own,” Henry said. Teaching host surgeons, anesthesiologists and their nurses. Nurses worked with the U.S. nurses in screening clinics. “To see him without that big mass there, smile and play basketball was really rewarding to me,” Henry said. Providing education about eye care and eye exams. There is little optometry in the countries they visited, she said. The partnership website cited distributing distance and reading glasses. Teaching nurses in other countries about patient and provider safety measures, including personal protective equipment. Teaching awareness in Papua New Guinea of the ill oral health caused from betel nut chewing, which includes oral cancer, periodontal disease and gross wear, according to the Partnership Facebook page. 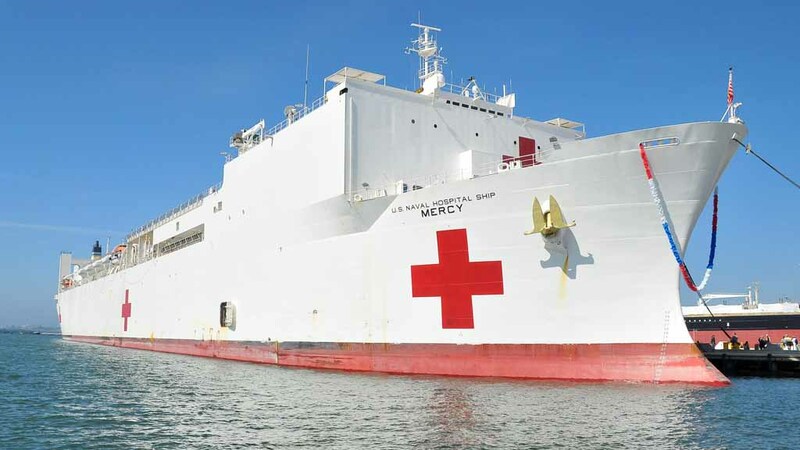 What did U.S. medical staff learn from their Pacific counterparts? “We learned about how they respond to disasters and how they are able to do a lot of things that we do but with many fewer resources,” Henry said. “Some of the biggest lessons were how they managed to perform surgery or do other kinds of medical procedures when they don’t have the same facilities that we do, and they don’t have the stable electricity source,” she said. U.S. and host country ophthalmologists shared tips and techniques about removing very dense cataracts, something not seen in the United States because they are eliminated at an early stage. U.S. Army veterinarians worked with Navy medical personnel, volunteers from World Vets, and host nation officials to provide care for 140 dogs and cats and treatment for more than 2,500 farm animals, the project’s website states. Not all help was medical. An engineering and construction team of U.S. Navy Seabees, Air Force REDHORSE engineers, Marines, Japan Self Defense Force and Fijian military and civilians built two new classroom facilities for two local schools, the website says. “The connections we made, the partnership we have built and the capacity that we have exercised will help downstream,” Engdahl said.